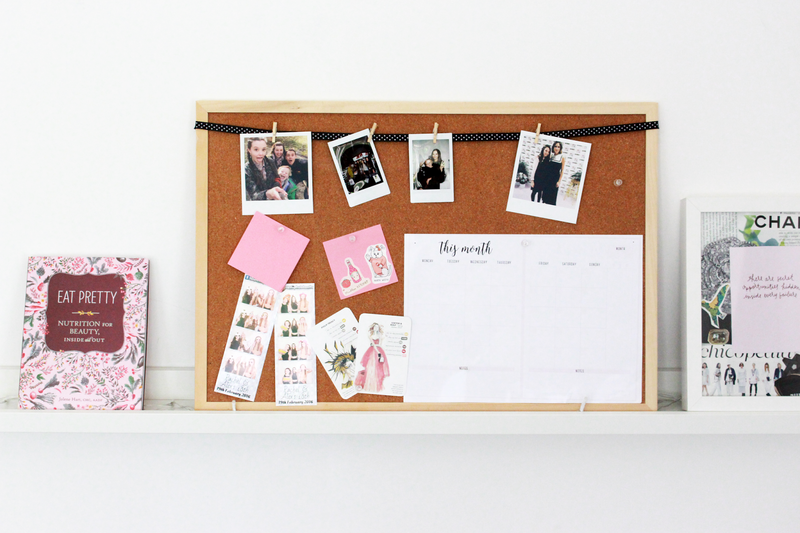 1 // Cork Noticeboard - I got this from IKEA for £4.50, I use it to pin on any notes, letters or important information that I need to remember. I also decorated it with some ribbon and mini pegs so I can clip on any pictures, just to make it look cute. I find it really handy to have a monthly planner on there too so I can write down which blog posts should go up when and any events I have. They are really helpful for keeping hold of little notes but you can also personalise and decorate them to match your room! 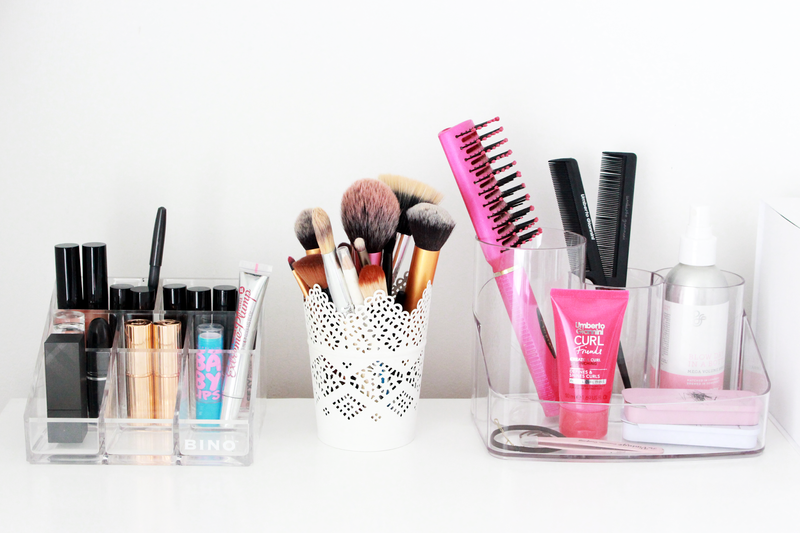 2 // Make-Up Storage - These clear plastic organisers are perfect for keeping your makeup and bits tidy. I use one to hold my lipsticks and haircare organiser to keep my bobbles, clips, brushes and sprays in one place, and it was only £12! You can buy all sorts of organiser holders, stands and trays from Store*. 3 // Make-Up Brushes holder - You've probably seen this millions of times before, but I also use the little Skurar Candle Holders from IKEA to hold my makeup brushes. They are white, pretty and only £2! 4 // Re-using boxes - Lastly, I also use a lot of boxes that parcels, gifts or shopping has come in. Especially if they are partnered and pretty - there's always those giftboxes tht you hate to throw away because they look so good. Why not re-use them to store things in? 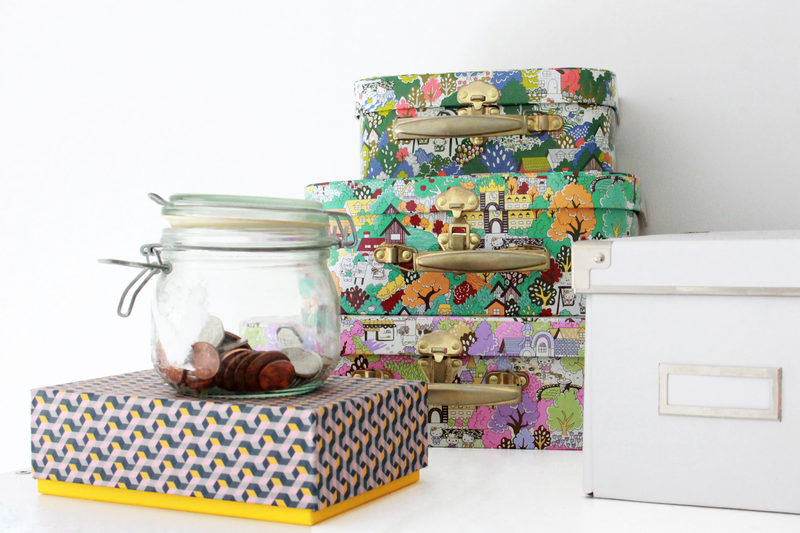 Do you have any tips for keeping organised? These are some lovely ideas, I'm currently in the process of re-doing my room so these are helpful.